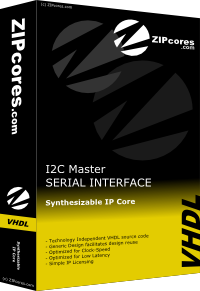 Master serial controller compatible with the popular Philips® I2C standard. 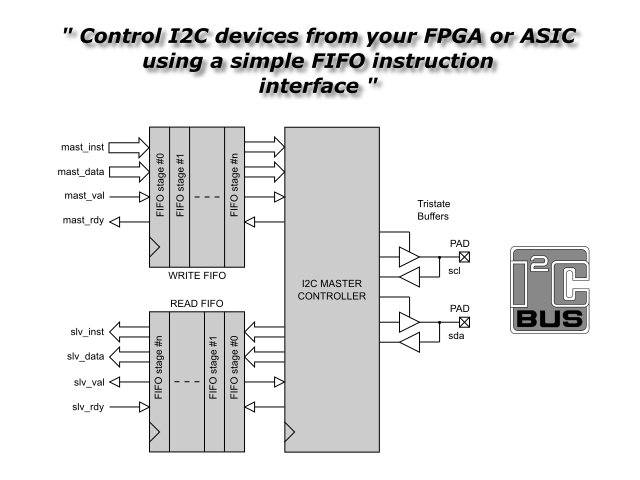 Features a simple command interface and permits multiple I2C slaves to be controlled directly from your FPGA, CPLD or ASIC device. 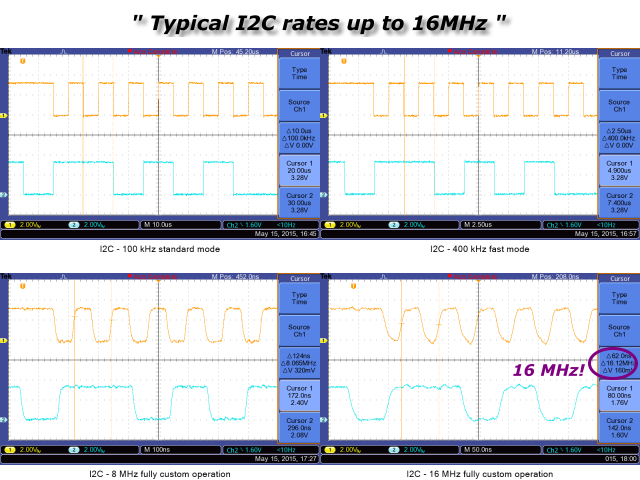 Supports standard (100 kbits/s), fast (400 kbits/s) and custom data rates well above 4 Mbits/s. Setup and hold-times on the SDA pin are fully configurable.